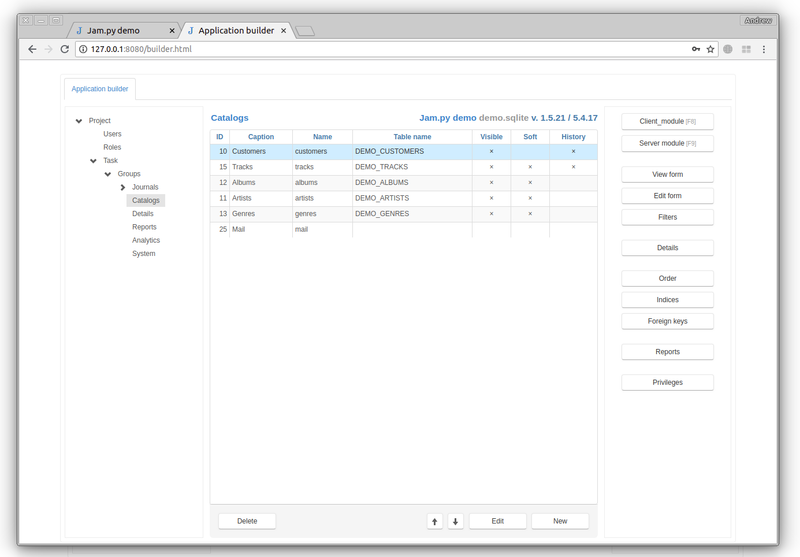 Application builder - is a Jam.py web application intended for application development and database administration. On the left side of the Application builder page there is a panel that contains the project tree. When you select any node of the project tree, as a rule, its content will be opend in the central part of the page, and the bottom and right side of the page may have buttons that allow you to modify the content. To see the changes made in Application builder go to the Project page and reload it. Prev: How to do with gunicorn?